Contemporary and functional.Easy to maintain.Easy to use rotary controls.left front 1500W.left rear 1500W.right front 1500W.right rear 2000W. The Chef CHS942WA Kitchen Cooktop was added to the Kitchen Cooktops category in October 2016. 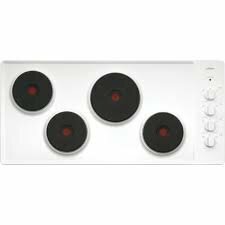 The lowest price GetPrice has found for the Chef CHS942WA Kitchen Cooktop in Australia is $399.00 from ozappliances.com.au. Other merchants who stock it are ozappliances.com.au, Appliances Online, Appliance Central, Billy Guyatts, Bing Lee.